Backscratchers’ stainless steel implements are the company’s newest surgical grade products that not only look sleek but also allow for maximum sanitation. The nail file handle, foot file handle, and cuticle nipper can be used in an autoclave. 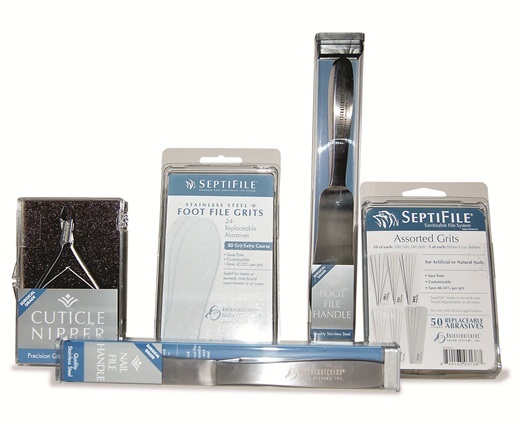 These products are meant to be used with Backscratchers SeptiFile abrasives. For more information, visit Backscratchers.